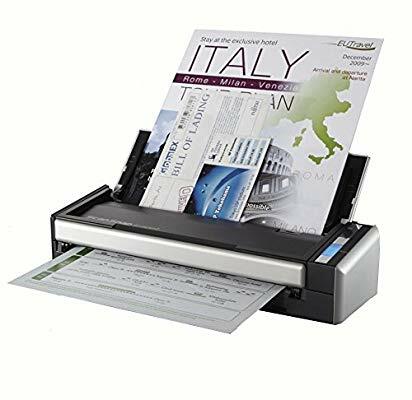 Does anyone have any recommendations for a good desktop scanner with automatic document feeding? I had an HP OfficeJet Xsomething or another and it decided to die on me. I bought a standalone laser printer, so I don’t want an all in one. Right now it would be going into my home server which is running Ubuntu Server, but I am debating replacing it with a MacMini, so I figured this was the most applicable forum. Thanks y’all! Fujitsu ScanSnap and Doxie scanners have good reputations. I use a ScanSnap S1300 that I’ve had connected to a few different Macs for I think 7 years now. Still going strong and whilst it doesn’t deal well with smaller receipts (I sometimes have to nudge them down to get fed), I have no notable complaints. The scan speed is great along with the quality … and this is an old scanner. Presumably newer scanners will perform even better. Any idea if this is the same as the S1300i that shows up on Amazon? Mine isn’t the “i”, but this FAQ seems to cover both, and this article covers the difference. I will second @sylumer’s recommendation. I have a ScanSnap S1300i. Purchased November 2012. I’ve scanned thousands of documents… works without a hitch. Great device. Be careful with the new ScanSnap Home software (required whenever macOS stops supporting 64 bit apps). That software imposes weird licensing restrictions on the hardware, limiting the number of computers the scanner can be used with, or at the very least making it difficult to exceed those limits. ScanSnap has definitely fallen out of favor on the MPU forums. Mostly due to their not-great support of Mac over the past several years, and their habit of deprecating scanners for new versions of OS X despite the hardware still working fine for many people. The new software is 64-bit, which is great, but my understanding (which may be incorrect, so feel free to fact-check me) is that if you upgrade an existing scanner to it, you are given a license for one (1) computer. If you buy a new scanner, you get the software and (I think) a license for ¿5? computers. This has struck some as a money-grab, considering that the former software had zero (0) limitations on how many computers you could use it on. There is also concern about whether or not you can “deactivate” a computer once it has had the software installed, so-as to allow that license to be used on another computer. Unfortunately, Fujitsu has not done itself any favors in the Mac community over the past years, so there’s very little reason for anyone to give them the benefit of the doubt. All of which is not to say “definitely don’t buy one” – just make sure you’re aware of what the limitations / restrictions are (more than just reading my vague recollections here). Depending on the load of pages you are looking to scan, you might be better off with an app. I know it’s not what you are asking for, and some may think: “Matthew ias asking specifically for a desktop scanner, why do you recommend an app?” - but let me just offer this as an alternative. All this to say that I have switched 100% to an app (scanbot in my case, there are multiple great ones). Before you dismiss this as “non-professional” or in any way not meeting your requirements, I suggest you give it a try. In my experience, an app is the easier and all-round better solution for everything up to ~20 pages. If you often scan document sets of >20 pages, my solution becomes less beneficial. I usually scan ~100 pages / pieces per month - and I simply love the flexibility and ease-of-use that apps provide. I store all my paperwork in dropbox. Scanbot (or alternatives) is crazy fast, does OCR on the fly, and saves to dropbox with just a tap. I should really sell my doxie - it has not been used for min. a year now. An app may not offer the same benefits to you depending on your workflow and workload. I would still suggest to give it a try, the results might surprise you. TJ, does the ScanSnap software do something super-cool that I’m not realizing without being connected to a scanner? I would think that “having to have a scanner connected to do anything useful with it” would be enough of a limitation. It’s the ultimate hardware dongle. With the app, how does that work with odd-sized papers? Like when Best Buy decides to crank out a 2-foot receipt, does that work well? And did you settle on Scanbot for a particular reason? Or was it the first one you tried, and it worked well enough that you didn’t see the need to look further? The benefit of your experience would be greatly appreciated. You can “scan” any size paper you like. 2 feet is indeed excessive - but even this works. You just move a little further away from the object to ensure the phone camera can capture the paper in its entirety. You could also make it two pages (scan the top half, then the second half as a second page). I tried a few ones, including PDFPen, OfficeLens, Scanner Pro. For me, ScanBot was the fastest and most intuitive to use. I am getting the best results when scanning with daylight. It gets a little tricky at night. You need to use artificial light (a lamp) to scan, which typically casts shadows on the paper and makes scanning a bit more tedious vs. scanning wiht daylight. I should also note that I am not editing PDFs on mobile (except some color correction and cropping) - I simply don’t have a use case for mobile editing. For me it’s all about capturing. 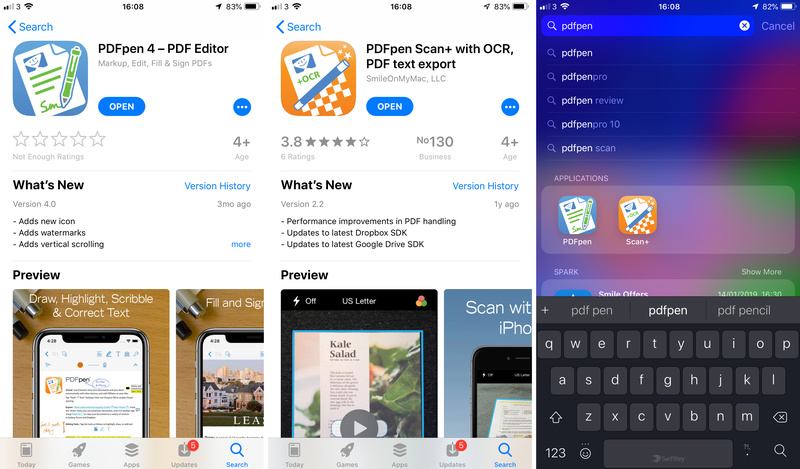 If you need to regularly edit on mobile, there may be better apps than scanbot. I tried a few ones, including PDFPen, OfficeLens, Scanner Pro. Any chance you mean Scan+ (by Smile) rather than PDFPen (by Smile)? Sorry, I guess I should have been clearer with owmy clarification. There are two “PDFpen …” associated Smile apps in the (UK) app store, with only one of them showing as that shortened name in spotlight. I think that’s why the convention might be people referring to “PDFpen PDF Editor” as “PDFpen” and “PDFpen Scan+“ as “Scan+”. My point was merely to highlight to people reading the above that it was specifically the Scan+ app that had scanning capabilities and not the editor app. aah, and I also learnt something! At the time of testing, I believe there was only one app… Now I can see both apps - and indeed I was referring to the “scan+” variant. Thanks for clarifying - now your clarification makes much sense to me! Both apps have actually been around for a fair few years now. PDFpen as an editor was released 25 January 2012 whereas PDFpen Scan+ was released 24 September 2013. I would also suggest considering an app rather than a physical scanner. I have used ScannerPro for some time and it is very good. I recently scanned more than 1,000 pages of typewritten manuscripts from the 1970s using it. I can scan more than 10 pages per minute and the scan quality is very good. I use my Mac for OCR, not the ScannerPro app. I have found that the ScannerPro’s OCR is almost useless. For OCR, I use OCRmyPDF (https://ocrmypdf.readthedocs.io/en/latest/index.html#) which is free, works very well, and can be batched for multiple documents. I also have a Brother Laser Printer/Scanner. It has an automatic document feeder. However, I can outperform the Brother Scanner significantly with my phone and a stack of paper. I have scanned documents as long as 250 pages using ScannerPro without issue.